What are the top things you'd like to get out of this Meetup? 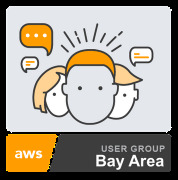 The purpose of this group is to help members improve their knowledge of AWS. Everyone is encouraged to participate in discussions, suggest, sponsor, promote and attend meetups. You should join if you are already using AWS or if you are planning to use AWS. There is always something you can contribute and something you can learn. That said, we are also gung ho about Docker and serverless everything.